Make your birthday the party to end all parties with Top Shelf Music; our talented team of professional DJs will make your birthday memorable. Premium quality cordless microphone for speeches. Stunning lighting, smoke and bubble machines. Full customisation of the music for your special evening. An extensive music collection spanning all genres containing more than 20,000 songs. Event co-ordination between the venue and other providers on the night. Comprehensive insurance for all our equipment. Complete back up options in the unlikely event of illness or equipment malfunction. Our DJs are young professionals who work regularly at parties and private functions; they are experienced and are widely versed in all genres of music. So whether your group of friends are into fast-paced bangers or prefer a more laid back and chilled atmosphere, we always get it right. 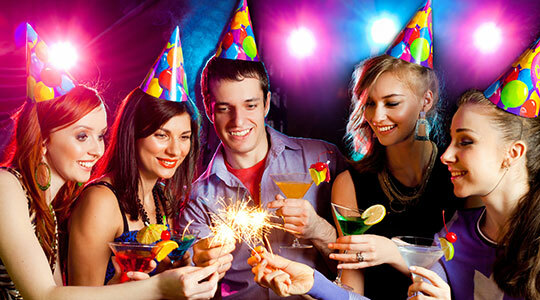 Your birthday is a unique event and we want to make it so. You are free to organise a partial playlist that you want to hear on the day, we fill the rest of the night with requests from your friends and other tracks that we know are going to keep you on your fee. A great and fun addition to any wedding, create an awesome ice breaker and memory maker with a photo booth at your event. Top Shelf Music’s professional DJs understand the importance of music for every occasion and realise that their role is not only to entertain, but also to provide the soundtrack to your special evening. Simply complete this form and we’ll get back to you within 24 hours. You may also call 0414 375 127. © 2018 Top Shelf Music. All rights reserved.